so I am looking into swapping all my dash and gauge lights in my 82 242 over to LED, I am on superbrightleds.com looking at what I could get, im guessing either one of these #74 or #24 will work for everything? I cant find any results in the search option on what others did and I know there are threads up about this. let me know of what I should get! 1982 242 Turbo - The Fun One, K-Jet, 3in Turbo Back, RSI Coilovers, BBS LM Reps, Awesome. I haven't seen this posted comprehensively anywhere, even though people ask about doing it fairly often. So here's what I've found you'll need to convert your 240 over to using LED lights (both interior and exterior). STILL A WORK IN PROGRESS. You'll need 1156 and 1157 single element bulbs, plus a set of 1157 double element bulbs if you're running fog lights in the rear. This assumes you're running brake lights in the upper location with a single filament connector. Connections are the same regardless, but if you're using the single pole connectors and buy the 1157's you'll have to mod them (solder or aluminum foil) to bridge the gap. I picked one up from my local Autozone for about $12. Just make sure the pinout is the same, the PN won't matter. If after installing them all, the light levels are acceptable and you don't feel the need to dim them, then you're done. If you'd like to be able to dim them at some point, pick up a PWM dimmer. I found one on eBay for ~$15 that looked like a near drop-in replacement for the stock dimmer. You'll also want to make sure you don't buy exceptionally long bodied T5 #74 bulbs. They tend to either go too far into the receptacle and don't disperse light, or bottom out in a gauge before grounding to the body - and then not turning on. You might find that the upper center console LED isn't anywhere near bright enough even after taking these precautions, in which case an 'accent light' module might do the trick. Also do not buy 'super bright' or even white LED's for the turn signal indicators, they will be extraordinarily bright and blind you at night while making turns. you, my friend, are awesome hahaha I have no more questions. what website do you recommend? Last edited by BryantTF242; 08-22-2013 at 06:43 PM.. I used eBay for the most part, it was a little more work but I have a TON of LED's available for projects now. any brand in particular you like? Make an extra set up for me too! Anyone know if these will work for the idiot lights? I used superbright leds on my Volvo, and VLEDs on my Lincoln. Both companies have great customer service, and their products last. I have 4 years total on my on my current LED swap on my Lincoln with no issues. so i dont need to do anything right? like i just pull out the old bulb, put this in, and go? I realize that LED's only work one way in terms of power flow, but other than that, thats all right? Except for the turn signals, yes you only need the LED. You may need resistors for the brake light. That will have to be confirmed. Who wants to wait for a bathtub full of rowing immigrants to bring them to you? I have had good luck with these as well. Direct replacement with no modifications. 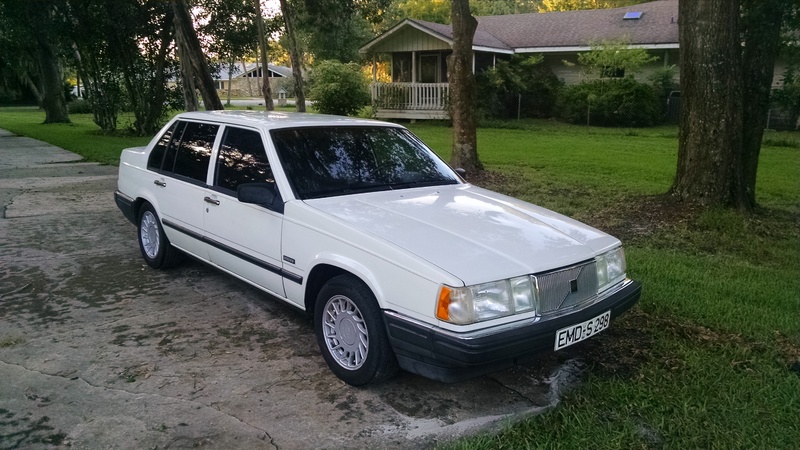 Find More Posts by Jon P.
Man volvogeek, where were you when I did this a year ago? Only thing I have to add is that some of the #74 housings like the shifter and center console backlight, will short out if you put in the bulb as is, you will have to bend the wires on the bulb to be on a single side instead of both. Other thing is that for my instrument cluster backlights, I hammered out the old bulb and soldered really bright #74s in there. anyone use these? it has the wire single sided, looks like it will work? also i cant find 40mm festoon lights, only 39mm, 41mm and 42mm lol would all of those work? Last edited by BryantTF242; 08-22-2013 at 10:34 PM..
hmmm.... that explains why I keep on burning out the shifter light. I think the 39mm will work - ive ordered them but haven't gotten them yet. We'll see and I will post the results. VLED sales adjustable festoon ones that haven't failed yet on my cars. Bright as shizz too. Write-up is awesome. Thank you for that! LOL writing this up - I did it back in Jan of 12. Anything between like 35 and 45 will probably work, you'll just have to bend the tab inside a little more (or less) depending on the size. Anything for 142? I literally cannot see my gauges at nite. Need to bump this for some assistance. I've ordered the LEDs I need for the instrument cluster, but for the life of me I can't get the old bulbs loose from the twist lock holder. After soaking one in hot water I was able to get it out, but the LED will not fit. Anyone able to throw some tips my way? Soaking in hot water?! Pics? You're talking about the two main 194 bulbs for the cluster?